The "Dancing with the Stars" champion added, "And I'm proud of that." In celebration of Black History Month, "Good Morning America" presents “On Their Shoulders,” a series featuring actors, musicians, athletes and newsmakers who share tributes to those who paved the way for them. When some fans look at "Dancing with the Stars" champion Jordan Fisher, they see a black man. But he's quick to clarify, "I'm mixed and I'm proud of that." The 23-year-old triple threat -- singer, dancer and actor -- boasts many ethnicities, including Nigerian, Cameroonian and South African. "I love Black History Month and celebrating my ancestral roots, but not just my blackness, which is so beautiful," he told ABC News. "But my Tahitian and my Italian -- everything that makes me, me. That's such a beautiful thing that's rarely touched on." 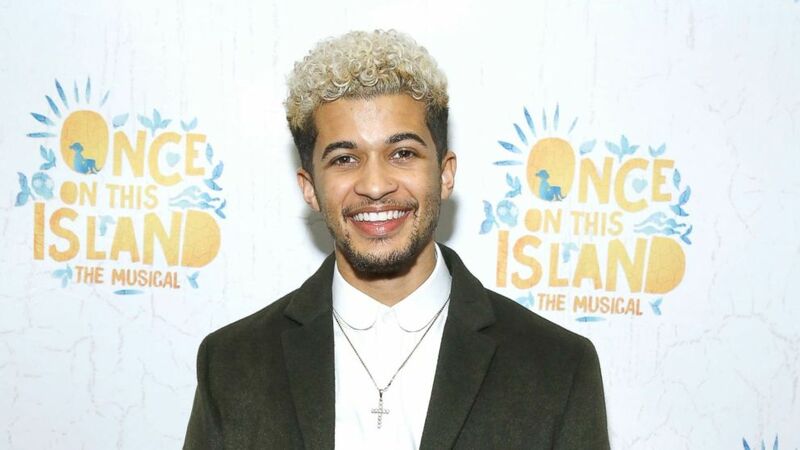 (John Lamparski/WireImage/Getty Images) Jordan Fisher attends "Once On This Island" Broadway opening night at Circle in the Square Theatre, Dec. 3, 2017, in New York. Fisher added of racial understanding, "I’m so proud of how far we’ve come, but there’s still a lot of work to be done." That's why Fisher honored many singers and musicians in "On Their Shoulders," "Good Morning America"'s series in honor of Black History Month. The "Liv and Maddie" actor honored Ella Fitzgerald, who made history as the first black woman to win a Grammy. He also honored icons like James Brown, who Fisher called a "pioneer in the industry ... who left his mark on every single genre of music." It's important that we lift our hands and try to open our hearts. Raised by two white parents -- his biological grandparents, after his mother gave birth at age 16 -- in Birmingham, Alabama, Fisher is ever aware of how he's perceived. "A lot of people are going to look at me and see that I've got white parents and say, 'This Oreo!' Especially being from Alabama," he said. "I’ve worked at a Game Stop and had my service turned down before because of the color of my skin. And it’s a shame." 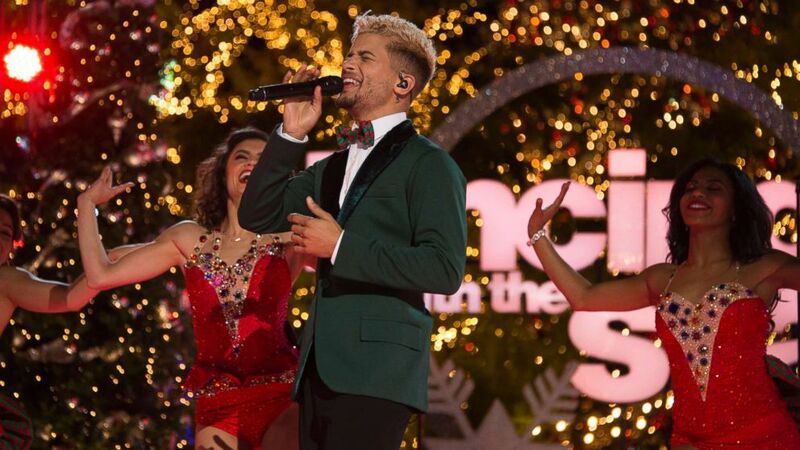 (Eric McCandless/ABC) Jordan Fisher on "Dancing with the Stars." Despite having faced emotional hardships because of his skin color, Fisher said it's important to educate instead of judge. "It's important that we lift our hands and try to open our hearts and recognize that people are taught a certain thing," he said. This piece was originally published on February 27, 2018.